What Does Brexit Mean For Your Holiday? Brexit has been looming over those looking to book holidays in the coming year with the continued uncertainty raising questions for those looking to travel around Europe. Airlines have been making the most noise about Brexit, as they fear being liable for shelling out compensation or refunds for flights delayed or even cancelled. The European Commission and the UK government have addressed this issue directly by saying that no aircraft will be grounded in the event of a no deal Brexit. This means that flights should operate more or less as they do now. In the unlikely event that your flight is cancelled, even if the airline is unwilling to reimburse you, your travel insurance could. Comprehensive travel insurance should always be a top priority in any event (regardless of Brexit). Travel Insurance covers you for a multitude of scenarios regardless of whether we are in or out of the EU. However, to be completely sure, do try to get cover that will include Brexit related travel disruption and cancellations – and get it in writing. Taking out good insurance will also remove any dependence on the European Health Insurance Card. While these cards are excellent, granting free or reduced cost healthcare abroad, they should still be a back up to your insurance, not the other way around. Passports are largely unaffected by Brexit and will work just like they would in any other country around the world. The main change is that passports that are close to expiring – with 6 months remaining or less - will no longer cover you for travel, even if your trip is within the time remaining. This is not a new requirement though. In fact, many countries that require a visa to enter will require at least 6 months remaining on your passport. 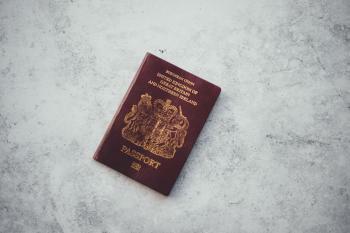 While a full visa is most likely not going to be required, travellers from Britain will eventually need to buy into the European Travel Information and Authorisation System but this is unlikely to be needed for travel to Europe in 2019 as the system is not yet in place. If a deal is reached, this requirement will not be necessary during the transition period running to the end of 2020. Either way, not a huge change to the way we travel now. Car rental is something we always recommend when travelling to Crete so you can make the most of the Island. Exiting the EU without a deal means British drivers would have to purchase an International Driving Permit (IDP) like the rest of the world, as domestic licences would no longer be valid on their own. Like visas, these are at a minimal cost of only £5.50 each from the Post Office. Having this gives travellers the freedom to hire cars and drive around in exactly the same way we do now. We all know that the pound has suffered a large decrease in its value since the Brexit vote in June 2016 and this has resulted in holidays in general being slightly more expensive, and your spending money not going quite as far. For some, this may mean a destination closer to home or looking for cheaper alternatives when it comes to accommodation and flights. However, despite these increases, Greece and Crete in particular, offers an excellent value destination so you can still find a good quality holiday for a reasonable amount of money – you just need to be a little more savvy with how you spend your budget. One popular option is renting a villa instead of staying in hotel. The beauty of this allows you to stay in beautiful locations for affordable prices as you don’t have the added expense of paying for a host of staff to look after you – with absolute privacy thrown in as a bonus. Many of our villas also have added benefits including private pools, extensive terraces and stunning views, matched with low occupancy discounts in low season months so you really do get more for your money! The bottom line is that you can safely book your summer holiday to Crete for 2019 knowing that flights should operate normally. We are also based in the UK meaning all prices are quoted in GBP sterling so you don’t have to worry about currency fluctuations increasing the cost of your accommodation charges. 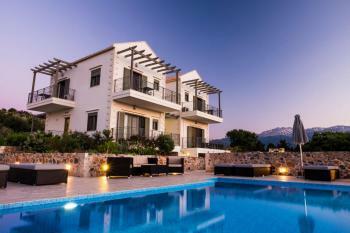 If you would like more information on any of our villas, please get in touch on 0330 111 0061 or contact us here!